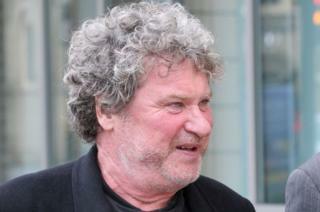 Television personality Rory McGrath has been charged with stalking. Mr McGrath, 60, of Grantchester Street, Cambridge, is accused of stalking a woman for more than a year. He appeared before magistrates in Huntingdon earlier and denied the charge. Court papers state he sent the unnamed woman electronic communications, followed her and approached her. Mr McGrath is next expected to appear in court on 23 January.